Denver Locksmith » Resource Center » What Are Smart Locks? Just like everything else in your home, even your locks are becoming more intelligent. Smart locks are becoming increasingly common in residential homes, and they are commonly used in conjunction with traditional locks and as part of smart home setups. What are smart locks, exactly, and how do they work? Let’s take a closer look. Smart locks are electromechanical locks that lock and unlock upon receiving instructions from an authorized device, such as a smartphone. These locks also monitor access and can automatically send alerts for the types of events it monitors. Many feature built-in WiFi to allow compatibility with cameras and smart doorbells. Like a traditional lock, a smart lock requires two primary components to work: the lock and the key. 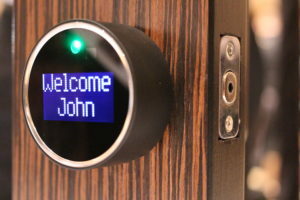 With electronic smart locks, rather than a physical key, there is a key fob configured for this purpose or a smartphone is used. Most smart locks can be unlocked and locked remotely using a mobile app. It’s hard to deny the convenience of a smart lock. Since house keys are among some of the most frequently misplaced item, being able to lock and unlock your home using your smartphone is extremely beneficial. 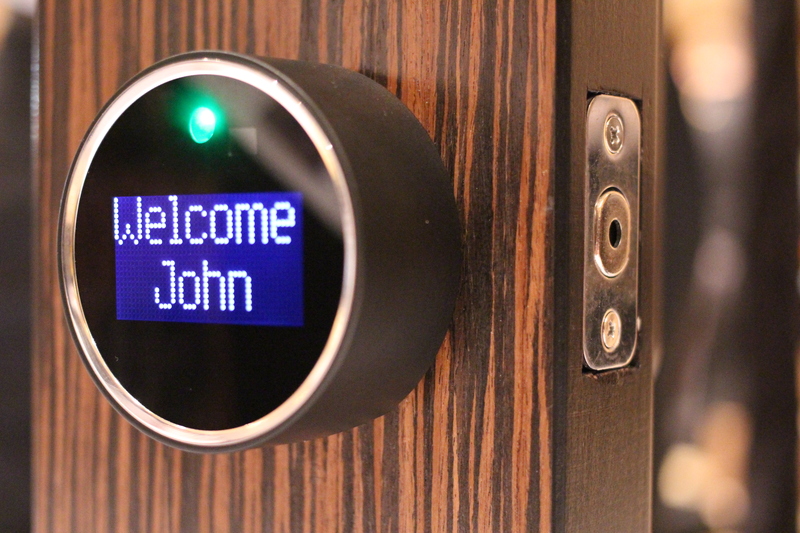 Smart locks also provide increased security by allowing you to keep of track of who enters your home and when. If your lock has a camera, it can even let you visually verify who is as your door before you unlock it. If you are interested in learning more about smart locks in Denver, contact the home security experts right here at Colorado Security Products. We can help you choose the right locks for your home and make sure you are getting the most out of your new devices. To learn more, please call 303-756-1000.